1. 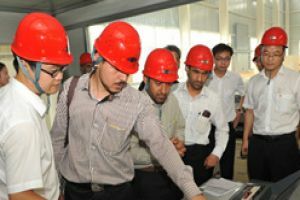 The Thorium elements are radioactive and not conducive to environmental protection, which is harmful to human health. 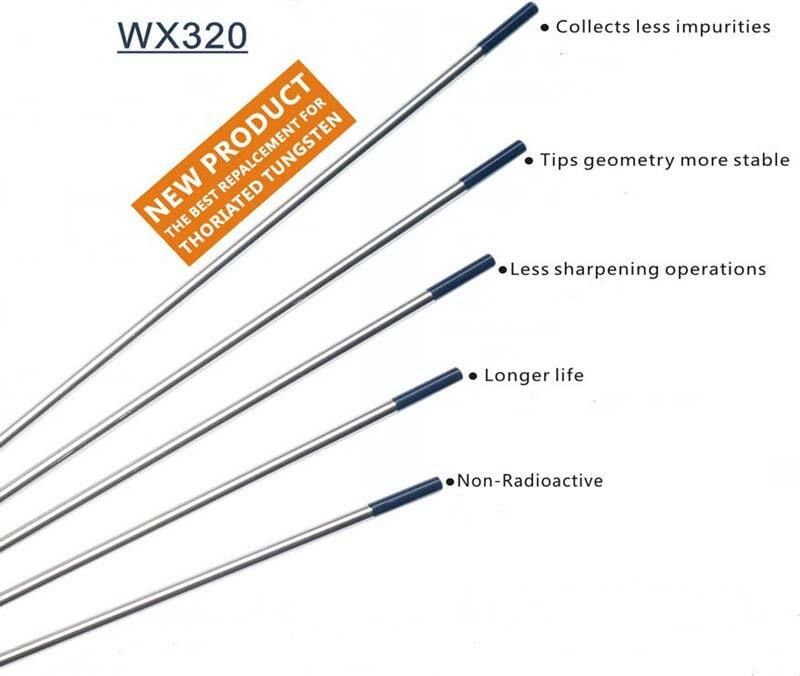 We appeal pay more attention for occupational health of welders, and proposal the new multi-compound rare earth electrode9Brand WX320-Dard Blue tip is non-radioactive0 as Substitution of WTh209Red tip-radioactive). 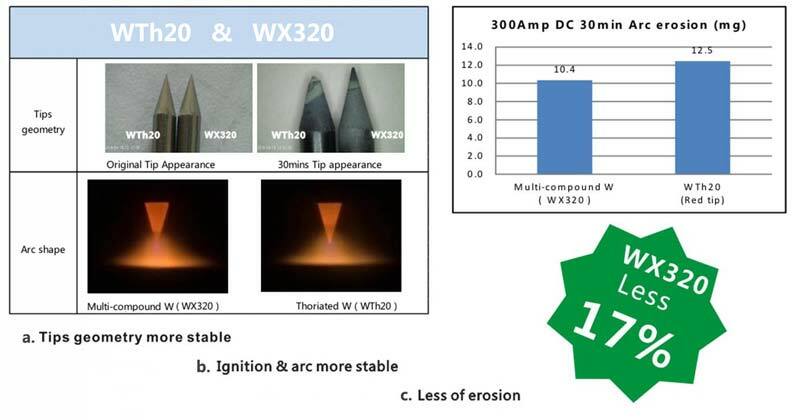 WX320 is suitable for different kinds of materials’DC or AC welding, such as steel, stainless steel, titanium ally, aluminum ally etc. 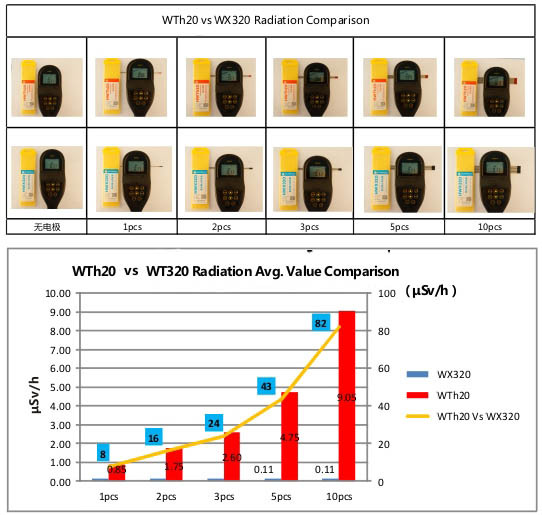 The welding performance of WX320 is better than WTh20(Red tip-radioactive). 1. The radiation value in normal environment is about 0.11-0.15μSv/h (It is slightly fluctuant in individual regions). (General indicator of radiation environmental quality evaluation in the document of GB11215-89: the whole body is 1mSV (about 0.1mm Sv/h). 1. WTh20 (Red tip) is radioactive and harmful to human health. 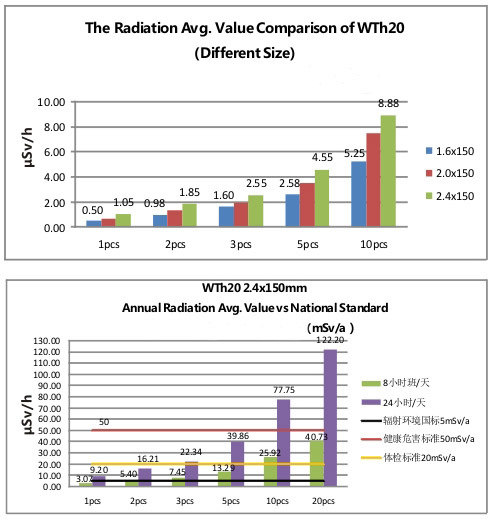 The annual cumulative radiation value of the 2 pcs to exceed health hazard standard 50mSv. 2. Muti-compound tungsten is non-radioactive, and the radiation dose is consistent with the conventional environment, and it is basically at about 0.11uSv/h. 1. Thorium tungsten storage needs special isolation space, keeping a lot of storage in the normal living environment will harm human health. 2. We do proposal focus on welder occupational health, increase protection and equip(radiation detector), and arrange physical examinations regularly. 3. It is recommended to replace thorium tungsten with non-radioactive high quality tungsten welding electrode products.